As you walk around the campus, imagine all of the students who have walked and stood in the same places you have. 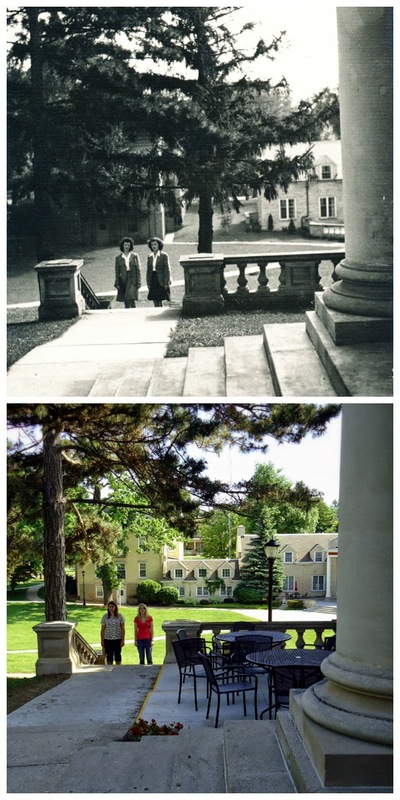 Pictured left, two female students standing on steps adjacent to the library ca. 1935. Pictured right, two female students standing on steps adjacent to the library, 2014.